We’re always on the lookout for new members, men, ladies, young and not so young. It doesn’t matter whether you’re a novice or an old hand. We welcome golfers to become new members of the Mudgee Golf Club and enjoy the friendship & competition the club provides. To apply for membership, download the application form by clicking on the button to the right and return it to the Club. Do you want to learn how to play golf? For further information about being part of Mudgee’s Junior Golf Development Program please contact Mudgee Golf Professional Peter Mayson or Junior Co-ordinator 6372-1811. Mudgee Golf Club and Mudgee Golf Professional Shop are committed to promoting the development of junior players and offering the game of golf to as many children in the local and surrounding communities. From 5yrs-17yrs juniors can be taught the fundamentals of a sport they can play for a lifetime. 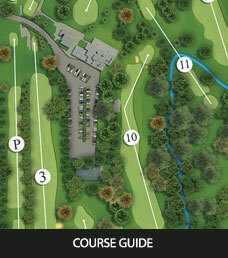 There will be 18 hole, 10 hole and 7 hole events. No handicap is required for minor events. Tee off from 9 am. Entries accepted on the day. Our experienced junior coaching team headed by Golf Professional Peter Mayson and Instructor Fabian Wright conduct Junior Development Clinics for girls and boys every Tuesday from 4.15pm and once a month on a Sunday from 10.00am-12.00pm. 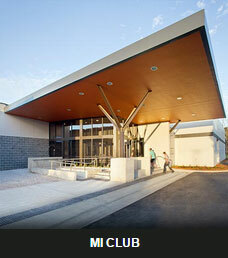 These clinics are geared for all standards –two groups. Birdies and Eagles start in our roll up Tuesday clinic and once basic skills are acquired move onto the MYGOLF 8 week prepaid Program working through Bronze, Silver and Gold levels. Workshops are held during School Holidays. Juniors also have the opportunity for individual tuition through the Club’s Professional, Peter Mayson. All Juniors are bound by the Club’s Constitution and By-Laws and are on a six week probationary period. Mudgee’s Junior Golf Development Program has adopted the guidelines issued by Golf Australia for Junior Coaching Delivery. The benefits and information about membership/annual subscriptions can be obtained from the Club’s Office/ Pro Shop or by telephone 6372 1811. Juniors are encouraged to join the Jack Newton Junior Golf Foundation (free of charge at www.jnjg.com.au). Note that ‘Birdies’ need to be accompanied by a parent/guardian to play. All Junior members are able to play on the course for $2, at suitable times, (adult supervision is required for the ‘Eagles/Birdies’) and Juniors with an 18 hole handicap are able to play in the members competition on a Saturday (and through the week during school holidays). Refer to Junior Competition Program Calendar for events, dates and times. Once a junior reaches a competent level of playing golf there is the opportunity to represent themselves and the club at other tournaments. At least three major junior tournaments will be nominated by Mudgee Golf Club through the year in which there will be a Mudgee Junior Coordinator present, transport organized, and a squad development group selected from those juniors keen to participate. As part of the Club’s commitment to junior golf, one year golfing scholarships will be awarded to selected juniors at various times. In addition to their golfing ability, juniors will be assessed on their commitment level to the junior program, attendance record, eagerness to learn, demonstration of good behavior and respect for golf etiquette. On joining as a member of the Mudgee Junior Golf Development Program juniors are issued with a playing cap, which we would like the junior to wear during clinics and tournaments. Junior shirts can be purchased through the Pro Shop. 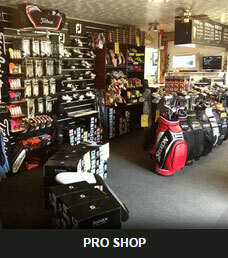 New and second hand clubs are available for all juniors and the Pro Shop has a “Buy Back” arrangement for juniors. 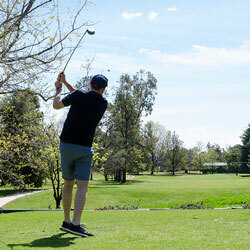 In order to have a pathway for Juniors to develop at their own pace whilst at the same time provide them with the challenges and skills necessary to achieve their full potential Mudgee Golf Club in conjunction with Mudgee Golf Professional Shop provide two levels of Sub Junior Membership as well as M.G.C. Junior Membership. Please note that juniors are not restricted by their age in order to move through levels if they reach required skill development and if junior has had no previous golf experience they will enter at the Birdie level for instructional purposes. Open to all Juniors, Eagles and Birdies of Mudgee’s Junior Golf Development Program & Visitors. PLEASE NOTE –‘Birdies’ need to be accompanied by a parent/guardian to play in competition or make arrangements with Junior Coordinator prior to competition. Unless stated otherwise Junior Competitions will be $5. 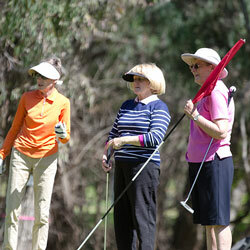 Sausage Sizzle is provided by the Mudgee Lady Golfers and everyone has the chance to win a prize. In the case of rain please ring the Pro shop to confirm – 6372 1811. With the above in mind, we look forward to a successful Junior Competition Program and seeing you develop and enjoy this great game of golf. Many thanks to all the parents/members who assist with this program. Juniors and Eagles will play a 10-hole competition, Birdies will play a modified 6 hole Competition. Modified handicaps will be issued after junior participates in first competition. Mudgee Veterans competition events are played on the first and third Tuesday of each month except when major full-week club events would coincide. 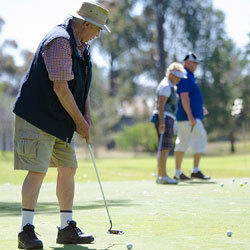 The Bill Vesty Trophy was established to encourage Mudgee Veteran Golfers to participate in the Mudgee VETS Golf Programme and in events held at golf clubs in surrounding towns. It is designed to promote comradeship amongst our VETS, provide variety of golfing environments and friendly competition. You gain points by attending an event on the Programme. If you win the event, you get three points and two if you come second. At the end of the year the person with the highest number of points wins the trophy and his/her name is engraved on a shield on the trophy.